Recent advantages in outboard technology have made choosing the correct propeller for your boat both easier and more difficult... easier because the number of choices has doubled, and harder, for the same reason. 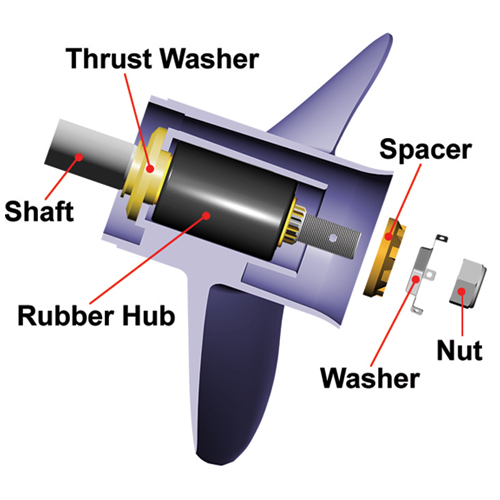 Propeller manufacturers have been busy developing new 3-blade and 4-blade products and size ranges of stainless steel propellers to meet a growing number of hull types and horsepower ranges, especially for 4-stroke engines. Four-stroke engines are designed to run at very specific RPMs, so pitch sizes have become available in 1 inch increments and new designs have appeared, each more tailored to a specific hull type and application. Propellers with higher rake angles and some with more surface area have been developed to maximize the power delivery of the 4-stroke torque curve. SOLAS offers a huge variety of propeller products to satisfy a wide range of engine and hull confiurations. 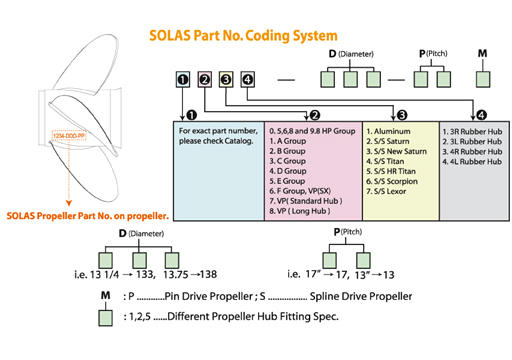 The following Chart will help you choose the correct SOLAS propeller to meed your specific boating application.